September 18th is officially National Cheeseburger Day. I personally think everyday should be national cheeseburger day, because who doesn't like a mouthwatering cheeseburger any day of the year? 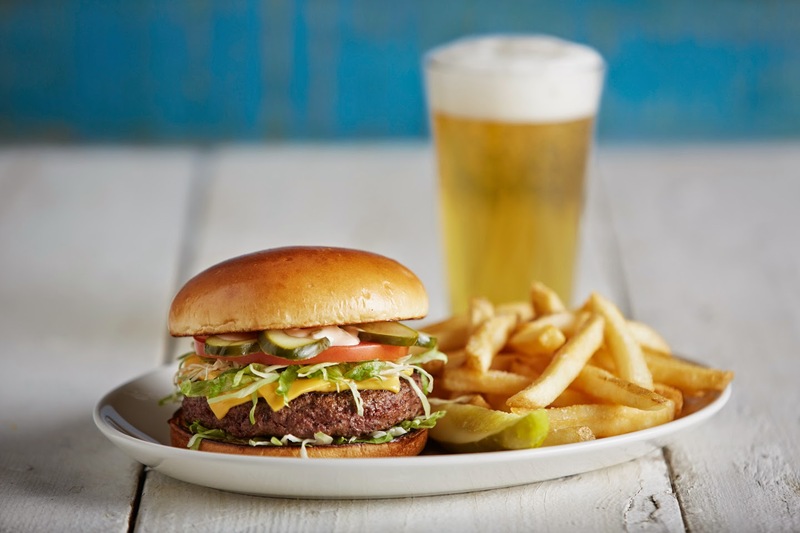 To help you celebrate this wonderful day, I have provided a brief history of the Cheeseburger, and some great tips on how to make a perfect burger from the folks at Margaritaville. Adding cheese to hamburgers became popular in the late-1920s to mid-1930s, and there are several competing claims as to who created the first cheeseburger. Lionel Sternberger is reputed to have invented the cheeseburger in 1926 at the age of 16 when he was working as a fry cook at his father's Pasadena, California sandwich shop, "The Rite Spot," and "experimentally dropped a slab of American cheese on a sizzling hamburger. An early example of the cheeseburger appearing on a menu is a 1928 menu for the Los Angeles restaurant O'Dell's which listed a cheeseburger smothered with chili for 25 cents. Other restaurants say they invented the cheeseburger. For example, Kaelin's Restaurant in Louisville, Kentucky, said it invented the cheeseburger in 1934. One year later, a trademark for the name "cheeseburger" was awarded to Louis Ballast of the Humpty Dumpty Drive-In in Denver, Colorado. According to Steak 'n Shake archives, the restaurant's founder, Gus Belt, applied for a trademark on the word in the 1930. 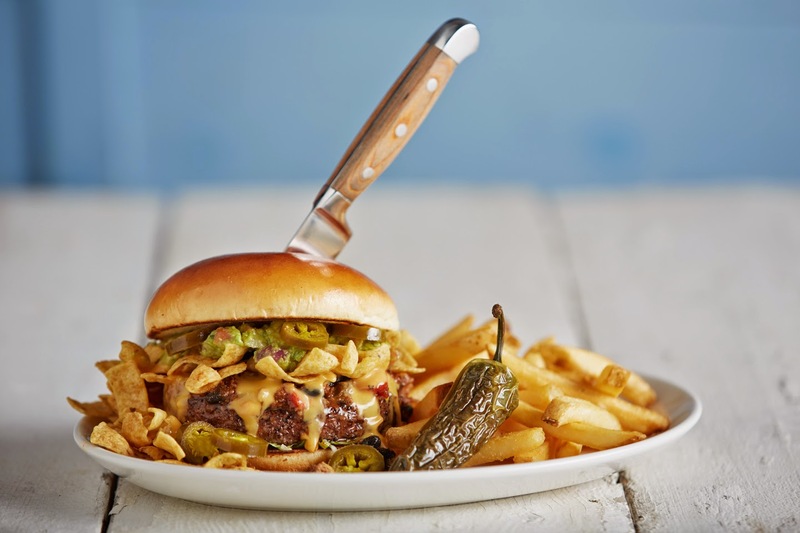 Here are some tips from the folks at Margaritaville on how to make a great burger. If you recall my post from a few months ago about National Hamburger Month at Margaritaville, I think they know a thing or two about making burgers. Choose your meat carefully. If you’re going to a local butcher, ask for 80 percent meat with 20 percent fat. The quality of burgers is heavily dependent on the protein selected. The fat with help maintain the flavors. Turn up the heat. Preheat your stove or grill in order to obtain an evenly cooked burger. Handling the meat. Be careful not to apply too much pressure when shaping the burgers to avoid them from becoming too dense. Also, do not press on the burger patty when cooking. Season the meat prior to cooking with your preferred seasoning, such as salt and pepper, and place the meat in the refrigerator for thirty minutes to prevent the patties from breaking apart. Experiment with toppings. American cheese reigns supreme on many menus, but experiment with cheddar, blue cheese, swiss, jack cheese and any other preferred cheese with other unique toppings such as chips, French Fries, chili, cheese, avocado, fried onions or bacon. Don’t Forget The Buns. The type of bun chosen is typically based on personal preference. Brioche and pretzel buns are popular, but there are various gluten-free buns available at local stores and at Margaritaville. It’s important to toast the bun for the best quality. So get out here and enjoy some great cheeseburgers at your favorite restaurant, or at home.